You may not need a full-on sanding experience, but perhaps an intermediate maintenance that gives your wooden floors a glossy shine. Regular polishing removes small signs of wear and tear such as fresh scuff marks and scratches, which unattended can lead to deterioration of the varnish and the need to completely sand the floor to the bone. With our wood floor polishing services, your floors remain healthy for years to come. 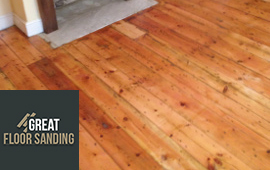 What Will You Get from The Wood Floor Refinishing Option? What this procedure boils down to is working on the already existing finish of your wood. We use the latest in buffing technology, which doesn’t strip the current seal on the wood but smooths it instead, just like polishing silver. This is what the wood floor refinishing looks like – a gentle polishing that turns any wooden floor into a mirror. It takes just one go to be able to slide on your wooden floors. Give your flooring a quick makeover NOW! To give you the best service possible the team makes its way to your home, office or store. The experts will evaluate the condition of the wood material as well as the correct dimensions. We have the experience and skill to work with all wood types – hardwood, softwood, parquet, and cork. You name it, we’ll polish and buff it to perfection. Check out our Gallery because words can’t describe the work as good as the images in it. Why Trust Us with the Polishing of Your Wooden Floors in London? Professional inspection: We like to see the condition of the floor first because sometimes the damage done to the finish can be too much for simple polishing to fix. For those occasions, we have professional wood floor sanding and commercial floor sanding services you can count on. Staining, sealing, waxing and oiling – the wood floor experts have done it all and will help you for sure! 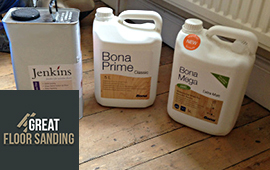 Professional Equipment: Equipment is the most important aspect of buffing wooden floors. We work exclusively with BONA – a titan on the market with the most incredible line of machinery. It ensures a stellar finish every time. Professional scheduling: We understand the necessity to buff your floors at times when the traffic is minimal, which is why we present your with flexible scheduling options all week long. Schedule Your Floor Polishing Service in London NOW! It’s simple to get a service team to start the work you need. Dial 020 3404 9697 and an operator will take on your project, create a proper service package for you and help you schedule an on-site inspection. Call us from Monday to Sunday, be it early in the morning, at noon or late in the day – we’re always here to help you book a service and resolve your situation as fast as possible. Our operators give out detailed information and keep you in the loop about your service at all times.